In any military operation throughout history, few 24-hour periods have been as crucial as that of 6th June 1944. 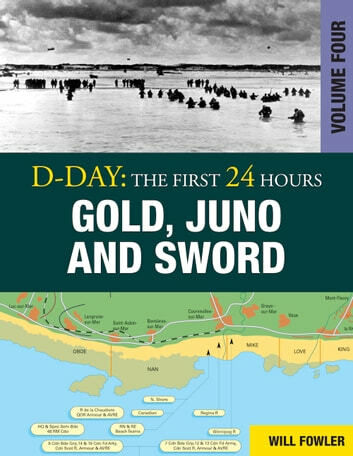 With the aid of specially commissioned maps, D-Day: The First 24 Hours series gives the dramatic history of the first 24 hours of the Normandy landings, and explains in detail the events that occurred in each landing zone. 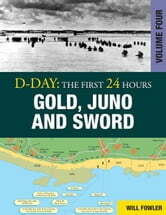 In this fourth volume of the series, the book describes the British and Canadian landings on Gold, Juno and Sword beaches. The book also includes details of the human cost of the first day, and a full order of battle for both sides.With colour and black & white photographs, the book is a guide to key events in the first 24 hours of the D-Day landings that saw the Allies successfully achieve a foothold in Northern Europe.